Bushfire is the most likely and most frequent natural disaster and the one historically that has the greatest impact on the community. Unlike other events, such as drought, bushfire can rapidly escalate into a catastrophic event, it can be unexpected and unpredictable, claiming lives and properties on a large scale. Of all the factors that influence a fire's severity, fuel load is the only one we can actively control. The Fuel Reduction Program was initiated in response to the findings of 2009 Victorian Bushfires Royal Commission and 2013 Tasmanian Bushfires Inquiry. 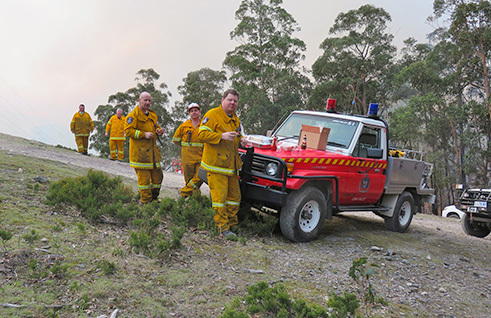 The objective of the Fuel Reduction Program is enhanced bushfire protection for Tasmanian communities, infrastructure, industry and environmental values. Tasmania is the first State or Territory to initiate a tenure-blind whole of State fuel reduction burning program. Fuel reduction is most effective when it is tenure-blind. Properly applied, the right amount and location of fuel reduction burning will significantly reduce bushfire behaviour and potential bushfire impacts on communities. Hectare-based targets are useful to promote activity, but do not in themselves reduce bushfire risk.